The post Cheche za matusi! 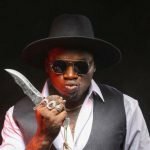 ¨Yeye ni bure kabisa¨ savage fan lashes out at Khaligraph appeared first on Ghafla! Kenya.